Instead of doing a classic recruitment campaign for University of Antwerp that shows how much fun it is to study in Antwerp, we focused on something else. We gave our researchers and their research a chance to shine. But how do you explain complex science like sewage epidemiology or macro-scanning X-Ray fluorescence spectrometry to average people in an ad campaign? Well, you don’t. You get hold of experts like, for example, National Geographic Channel and make a complete tv-series about all the groundbreaking research you do. Introducing: Behind the Science on National Geographic Channel. Because a green company shouldn’t waste paper. VMMtv wanted to send a DM to advertising agencies to tell them about their new and improved research tools. Offcourse it’s not easy to get the attention of advertising agencies with a DM. Some even say it’s impossible. 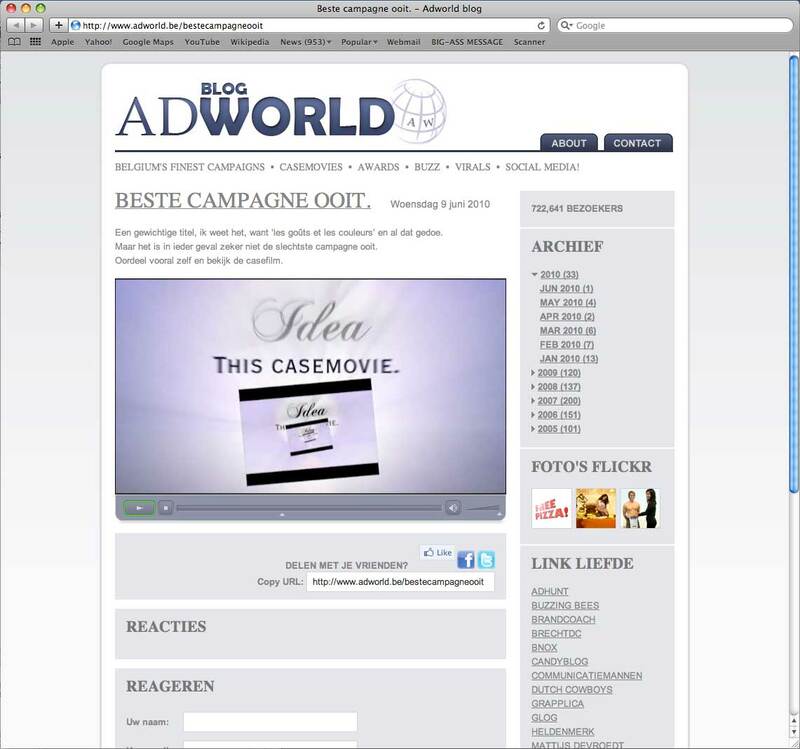 But while we were watching casemovies of other agencies, instead of working, we had an idea: Why not make the casemovie itself the campaign. Indeed, why not? So we sent all our contacts at advertising agencies an e-mail with the subject: Best campaign ever. And a link to an advertising blog we made ourselves. Just click the link below and check it out. We proved to mediabuyers that if you advertise in Think Media magazines you reach all men. Including your own.